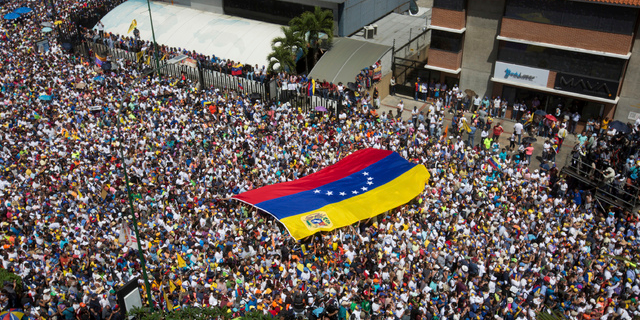 The political crisis in Venezuela continues, but it is still difficult to find accurate information about what is happening. Following the success of "What is really happening in Venezuela?" the IE Venezuela Club now brings you four of Venezuela's most prominent political, activist, and business figures to discuss the situation. Come and join us for his unique event to shed light into what the future might have in store for Venezuela. This event will be in Spanish. Ex-Mayor of Caracas and political prisoner of the Chavista Regime in Venezuela. Antonio Ledezma is one of Venezuela's most prominent political figures. Miguel Henrique Otero is the President of one of Venezuela's bigest and oldest newspapers: El Nacional. Tamara Sujú is one of Venezuela's most prominent Human Rights lawyers and the CEO of the Casla Institute. Leopoldo López Gil is a senior manager in El Nacional and father of Venezuela's most popular political prisoner and ex-presidential candidate Leopoldo Lopez.